Some days I don’t feel like praising. There are those days when I don’t even want to get out of bed, because, you know? I am TIRED. That’s a mom’s life. But especially because I have been persevering to do the thing God has called me to do in obedience, and it is so far outside of my comfort zone it has it’s own zip code. Everyday, I can rejoice in one solid truth: God is good. All the time. That truth is not dependent on how I feel or how much sleep I got the night before. God’s character is not on trial based on my feelings. 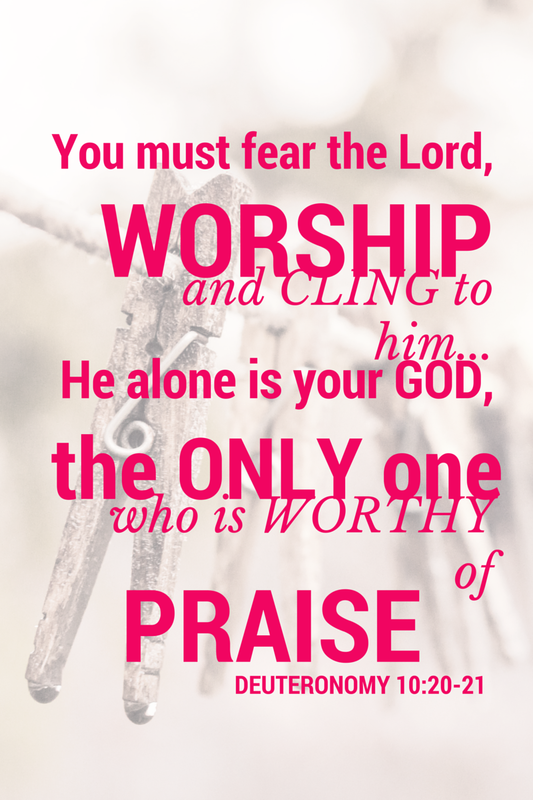 God is still on the throne and he is always worthy. His mercies are new everyday. I remember the words of my always encouraging friend, “We live to please God, not man.” I hear my Heavenly Father reminding me that my story is for an audience of One. And that is all that matters. God is teaching me how to p r a i s e. This is praise: that I bare my heart and soul to the King of the universe. He is not just one person in the audience. He is the whole audience. The Alpha and Omega. Beginning and End. He is the author and perfecter of my story. The only audience worthy of praise. And He knows my name. It was monogrammed on my high school letter-man’s jacket, my life verse. It reminds me whether I stand at the sink washing dishes or tend to my sick child or hang up the laundry or listen to a friend in need of prayer or write my heart out on a blog–all are opportunities to praise God. For he has set grace before me. Grace in the pain. Grace in the pleasure. Grace in the pursuit. All are praise when done to the glory of the true Grace Giver. It is impossible for me to oversimplify praise. Because some days praise means surrender. It is telling God, None of this matters without You, and then placing God at the center of it all so I can remember whom I serve. Praise is how you hold onto grace when hanging in there gets tough, and all you can do is cling to Jesus. Praise is how you re-prioritize, so that down means up, you touch the sky when your knees hit the ground. Praise happens when you lay it all down so you can free up your hands—lay down your plans, lay down your pride, lay down your priorities—and you reach for the one who laid down on a cross so he could lift you out of the pit. Praise is how you walk into the week clinging to the Word that directs your path and hanging onto the One who directs your steps.